CARACAS—President Nicolas Maduro on Tuesday ordered the expulsion of two top U.S. diplomats in Caracas in retaliation for a new round of sanctions over Venezuela’s widely-condemned election, accusing them of a ‘conspiracy’ that was denied by the State Department. The United States, European Union and most major Latin American nations have all said Sunday’s vote did not meet democratic standards. 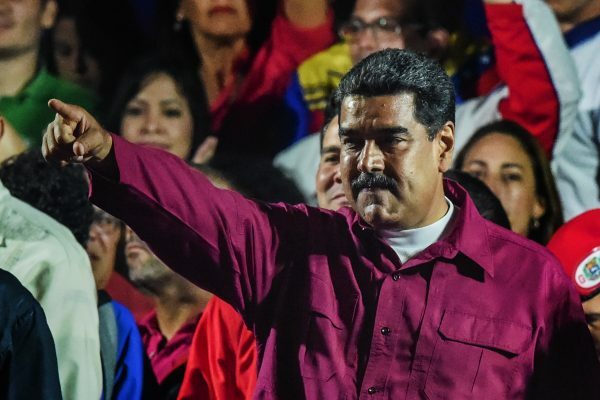 Maduro, the 55-year-old successor to Hugo Chavez, won re-election easily, but critics said the vote was riddled with irregularities, from the barring of two popular opposition rivals to the offering of a government “prize” to voters. President Donald Trump responded on Monday with an executive order limiting Venezuela’s ability to sell state assets. Accusing U.S. charge d’affaires Todd Robinson of being involved in “a military conspiracy,” Maduro ordered him and another senior diplomat, Brian Naranjo, to leave within 48 hours. The U.S. State Department rejected Maduro’s “false allegations” against the two diplomats, spokeswoman Heather Nauert said at a news briefing in Washington. Robinson gave a brief speech at a public appearance on Tuesday afternoon in Venezuela’s western city of Merida. “We energetically reject the accusations against me and against Brian Naranjo,” said Robinson, in comments streamed live on Facebook by local media. “This was my first visit to Merida, but it will not be my last,” added Robinson, who assumed the charge d’affaires role in December. In an interview on Tuesday, Venezuela’s Trade Minister Jose Vielma said the latest round of sanctions would have a “more serious” impact on the country’s financial system. Previous sanctions were limited to assets linked to individual Maduro administration members. The executive order prohibits U.S. citizens from being involved in sales of Venezuela’s pending invoices related to oil and other assets, though Vielma said shipments of fuel and crude to the United States would continue. It appears to target in part Citgo , a U.S.-based oil refiner owned by Venezuela state oil company PDVSA . More obstacles to PDVSA’s ability to sell oil abroad could restrict already-dwindling foreign exchange earnings, worsening the economic crisis and pressuring Maduro. “This attack against Venezuela, which seeks to completely strangle the country, is unheard of,” Vielma said, adding that Venezuela would continue to collect on its accounts receivable. The mainstream opposition coalition boycotted Sunday’s vote, calling it a sham aimed at legitimising Maduro’s rule. 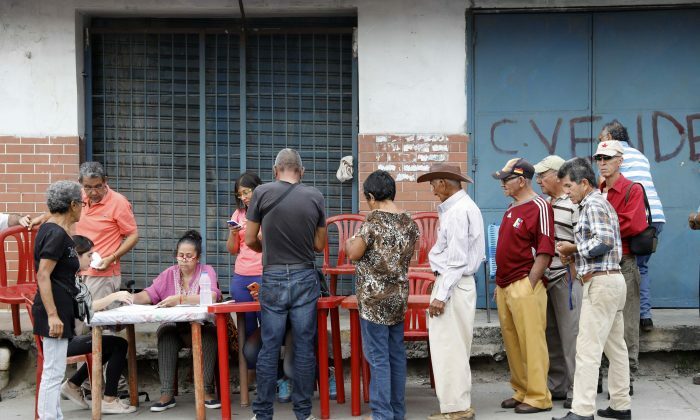 Maduro, whose second term will begin next January, won 68 percent of the vote. Former state governor Henri Falcon, who broke with the boycott to challenge Maduro, said he received reports of hundreds of irregularities. Turnout was less than 50 percent, compared to 80 percent in 2013. Electoral council chief Tibisay Lucena, who is on individual U.S. and European Union sanctions lists, certified Maduro’s victory in a presentation on Tuesday. The Trump administration has also tried to convince China and Russia to stop issuing new credit to Venezuela, U.S. officials told reporters on Monday. 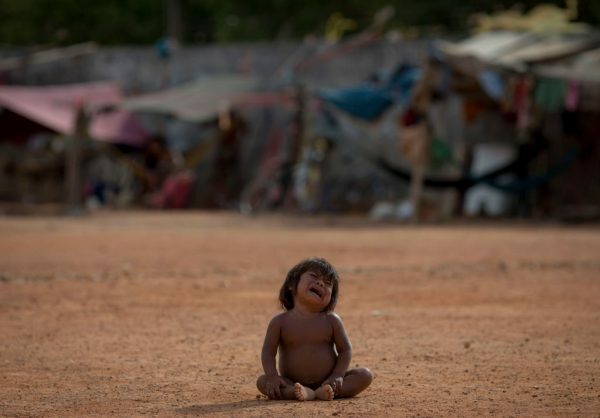 The two countries have provided billions of dollars in funding for Venezuela in recent years. Most mainstream economists say the country’s strict currency controls, heavy state intervention and money-printing are responsible for a crisis that has caused widespread shortages of food and medicine and led to mass emigration.